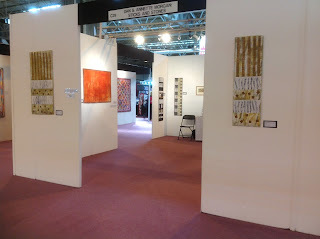 This is the exhibition space I had at the Festival of Quilts 2013 where I launched my new book. Dan's prints were a great addition to the exhibition and he sold lots of pictures! Louise our daughter was a great saleswoman - a real family affair! The exhibition was very well received and we have been asked to take it to two other venues besides Wymondham in October [see dates below]. 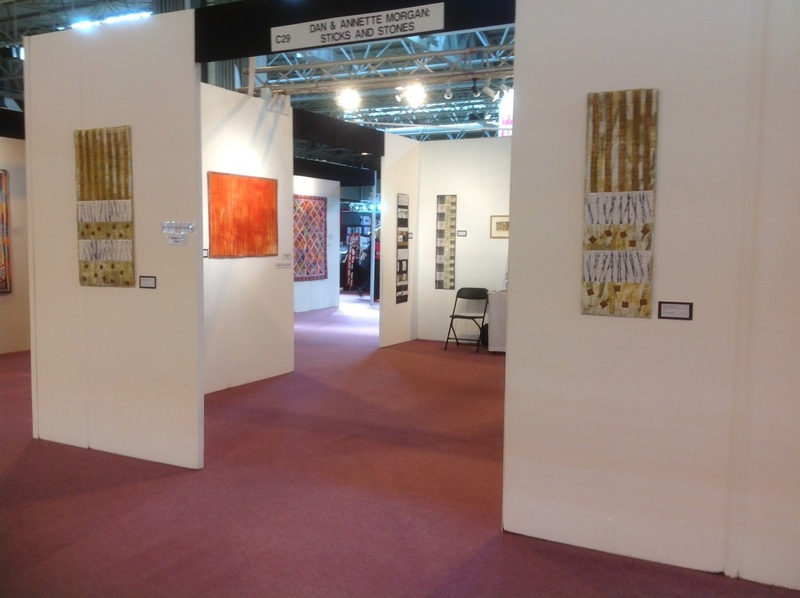 We also have exhibition space in Bury St Edmunds next year - so loads of work to do!! Thanks for dropping by at FoQ - it was lovely to see old friends and make new ones! My new book [my fourth]is available from today! 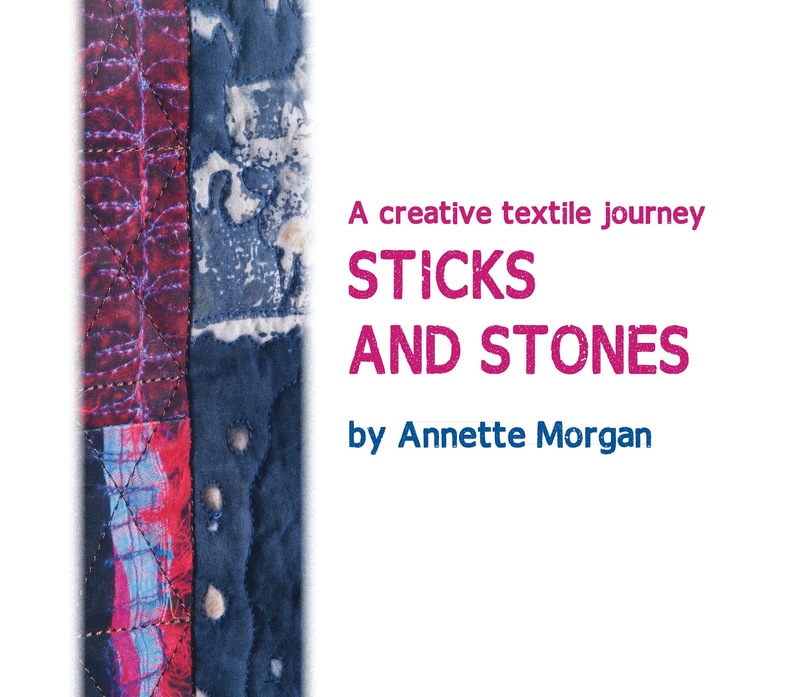 Primarily published to accompany my solo show at the Festival of Quilts next week at the NEC in Birmingham, it features all the quilts that will be on display at the show, and much, much more! 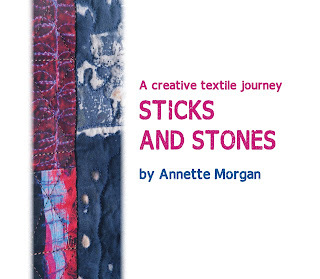 The book shows how you can work through a theme, the processes and techniques that I use, which I hope will inspire you in your own work! My husband who trained as a painter also has some of his work in my book. If you miss the show in Birmingham the exhibition will also be shown at the Arts Centre in Wymondham, Norfolk [Becket's Chapel, 2 Church Street, NR!80PH] from 2nd - 27th October, and myself and my husband will be artists in residence on the 26th & 27th.